Hi, my name is Cathy Kelly! 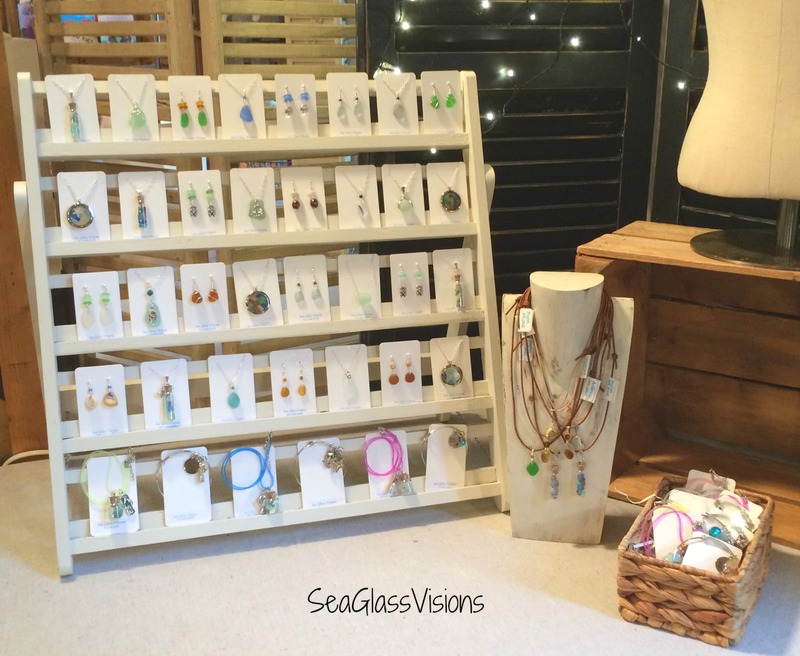 When I was introduced to sea glass I didn't know that it would become such a passion for me. 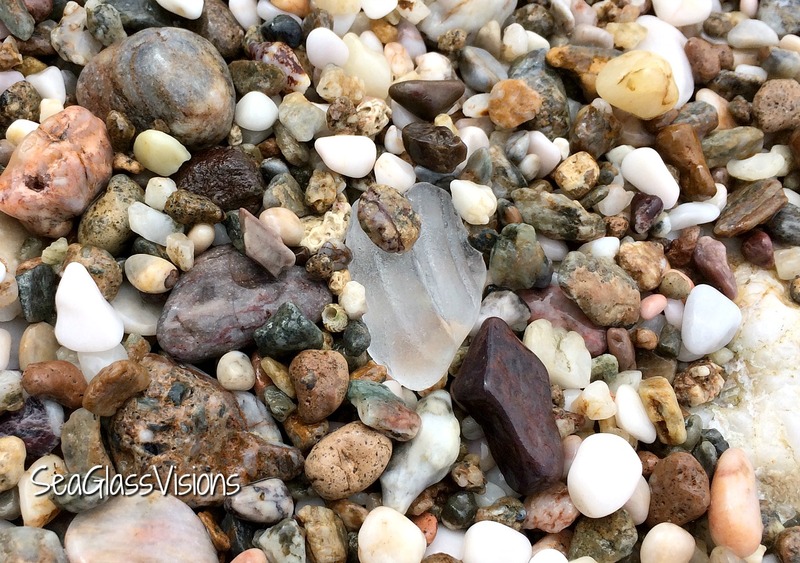 Whether it's walking on a beach or wading in a river searching for sea glass and pottery, creating jewelry and crafts, searching out the history of a piece of glass or pottery, or marketing and selling online and at craft fairs, I enjoy every aspect to it's fullest. If you’ve been following this blog you have read about my many sea glass christmas ornaments, more specifically my Vermont Inspired Sea Glass Snowflakes. They have been extremely popular in the Maryland artisan shops that carry my work, my Etsy shop and as Christmas gifts for my family and friends. Even better is that Side Street Framers & Gift Gallery in Severna Park, Maryland has asked to carry them year round and they are also offered for sale in Vermont at Slopeside Okemo Vacation Rentals in Ludlow – Okemo Mountain! It isn’t often that I get a chance to make matching pendant and earrings sets, but I have been putting some glass aside for a while now and figured the New Year was the perfect time to start! I used some fabulous jewelry quality lavender sea glass and amazing yellow and pink pastels along with some cornflower blue rims. All of this jewelry is available in my Etsy shop! 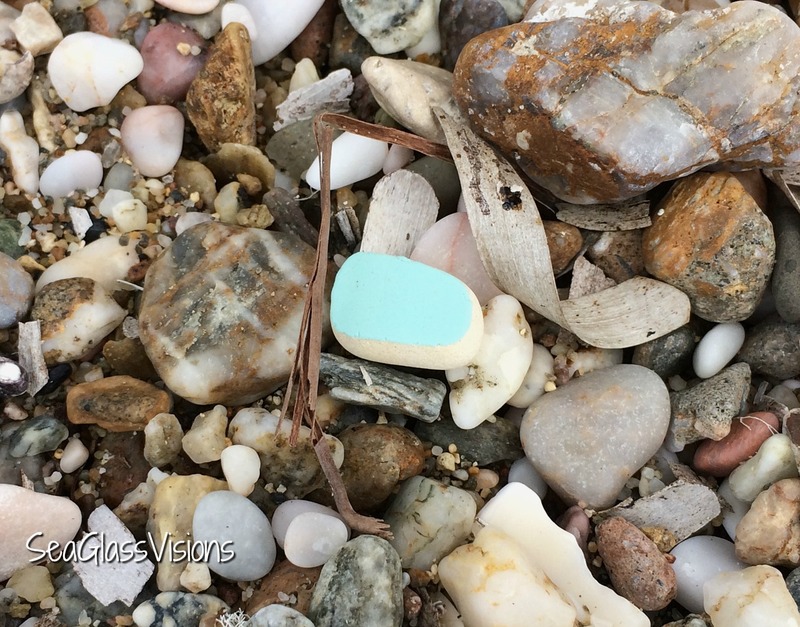 Above: This lovely jewelry quality pastel sea glass is on sterling silver. 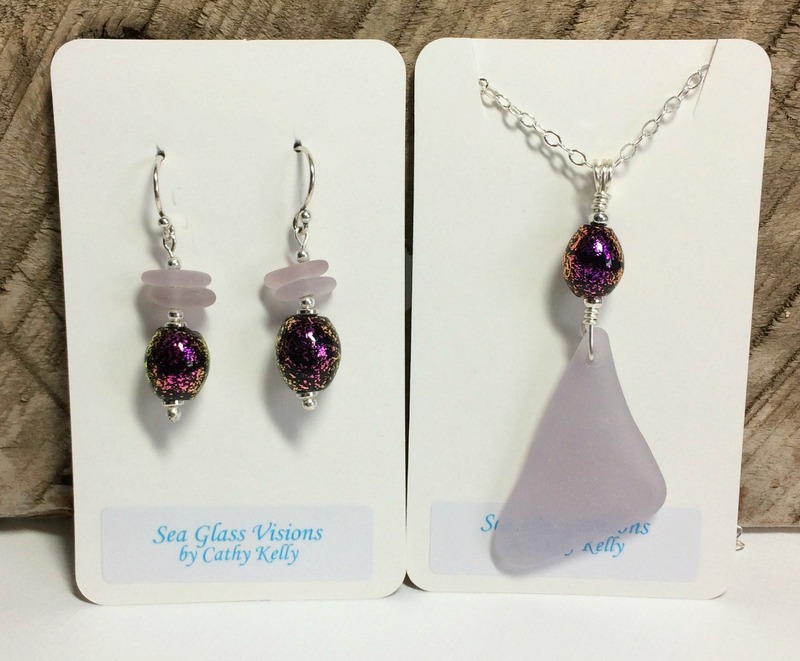 Below: Amazing lavender jewelry quality sea glass accented with Italian glass beads on sterling silver. 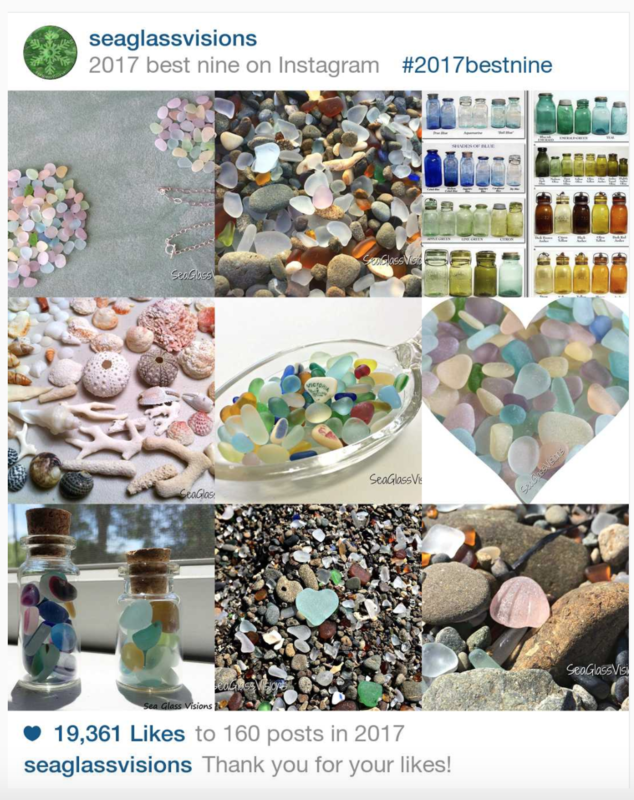 I enjoy being on instagram and sharing my sea glass photographs with everyone! This was a fun idea, being able to create a collage of my 2017 best nine on Instagram! I’m really looking forward to 2018!! 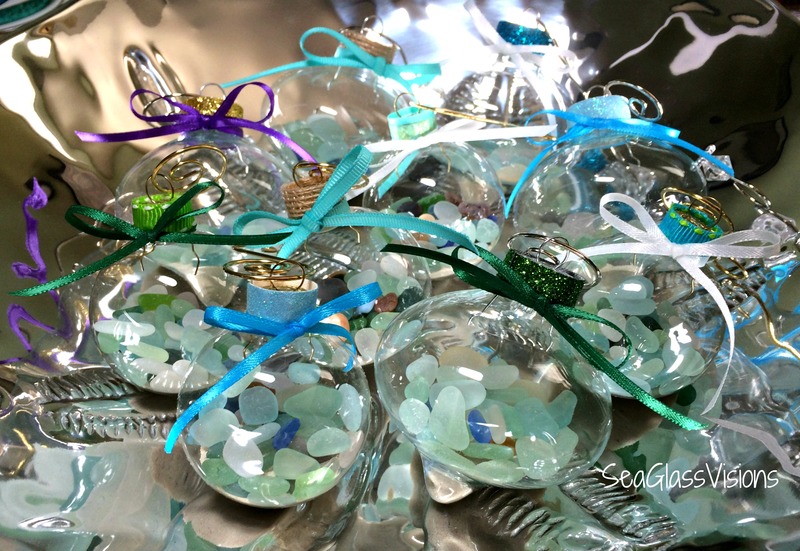 Every year I enjoy creating Christmas ornaments with my sea glass. While my sea glass and sand filled ornaments, mentioned in the post below, are always popular sellers, it’s fun to create new items. This year it’s my Vermont Inspired Snowflakes. I have based these keepsake ornaments on the photography of Wilson “Snowflake” Bentley who lived in Jericho, Vermont. In 1885 Wilson Bentley took the first photograph of a single snowflake crystal. In his life he took over 5,000 photos and found no two to be exactly alike. These unique snowflakes are created with a generous eighteen pieces of sea glass that was handpicked by me from the shore at Fort Bragg, California. I use a variety of decorative pearl beads, crystal beads and metal accents. They hang from a white ribbon. 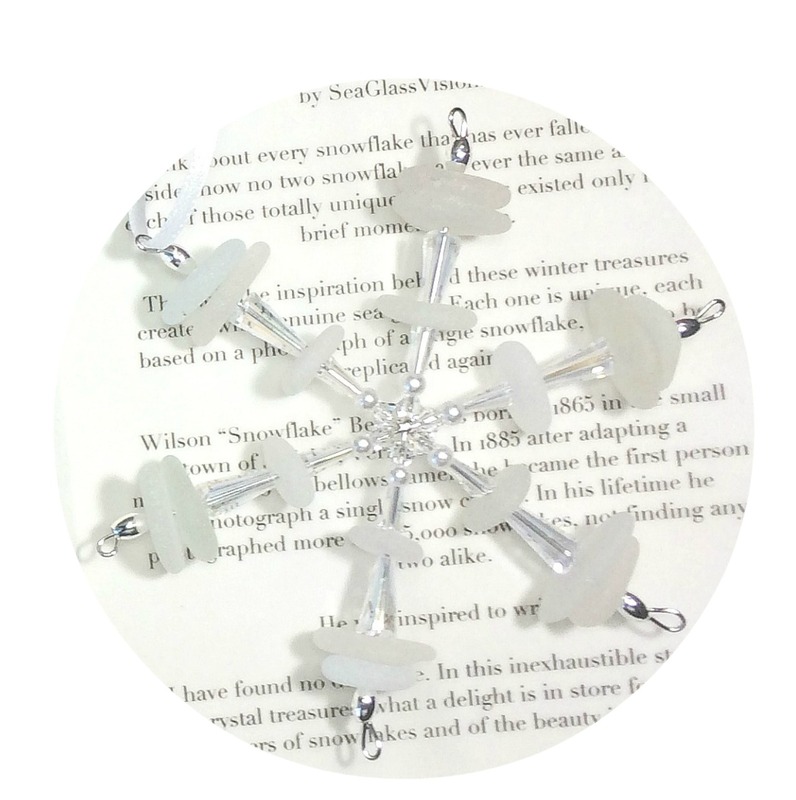 These sea glass snowflake ornaments make a perfect gift as they are presented in a lovely silver box that includes the story of Wilson “Snowflake” Bentley. These are true keepsakes. Side Street Framers & Gift Gallery, Severna Park, Maryland. Every year I enjoy making Christmas ornaments using sea glass. These lovely ornaments have been very popular and have been best sellers for a few years now. I have filled these ornaments with sea glass handpicked by me from the shores of Fort Bragg, California and some also have a bit of sand from my favorite Caribbean Island, Anguilla. Along with the decorative ribbons they include artistic ornament hangers. They are offered in beautiful gift boxes, a perfect Christmas present ready to give! As they are very fragile I do not offer them in my Etsy shop but do offer them in two artisan shops in Maryland, EL & Company in Pasadena and Side Street Framers & Gift Gallery in Severna Park. One of the amazing tours we took on a recent visit to Greece was one from Athens to Sounio. We traveled to Sounio to visit the Temple of Poseidon. I had a once in a lifetime opportunity to visit Greece for two weeks this fall with sea glassing friends. 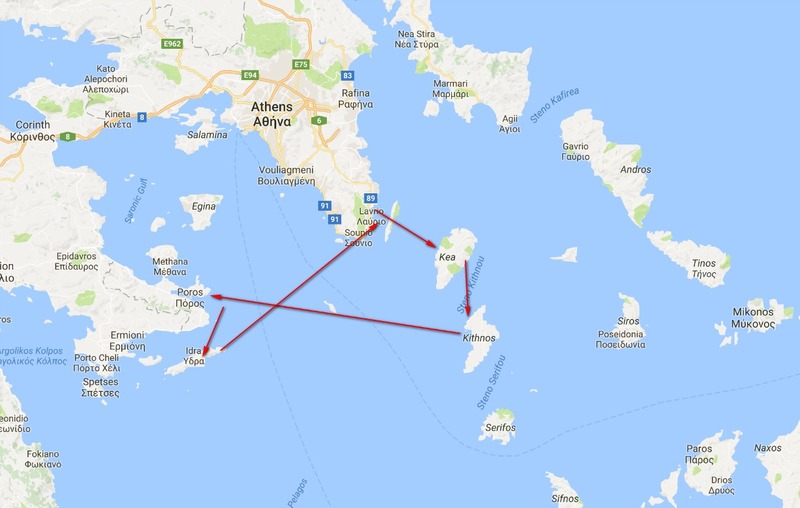 We spent time touring Athens and also sailed for a week on a private sailboat visiting some of the Cyclades and Saronic islands searching for sea glass. It was an amazing time. Naturally as we were sailing the wind and weather dictated our travels. We visited the islands of Kea, Kythnos, Paros and Hydra. Each island was beautiful and unique. On the first island we visited, Kea, we docked the boat right up to the street of restaurants and shops. I felt like I was on a movie set. On each island we had a wonderful time meeting new people, eating amazing food, exploring the shops and searching beautiful beaches for treasures! My friend Sue and I also took a quick dip into the Aegean Sea while on Hydra! 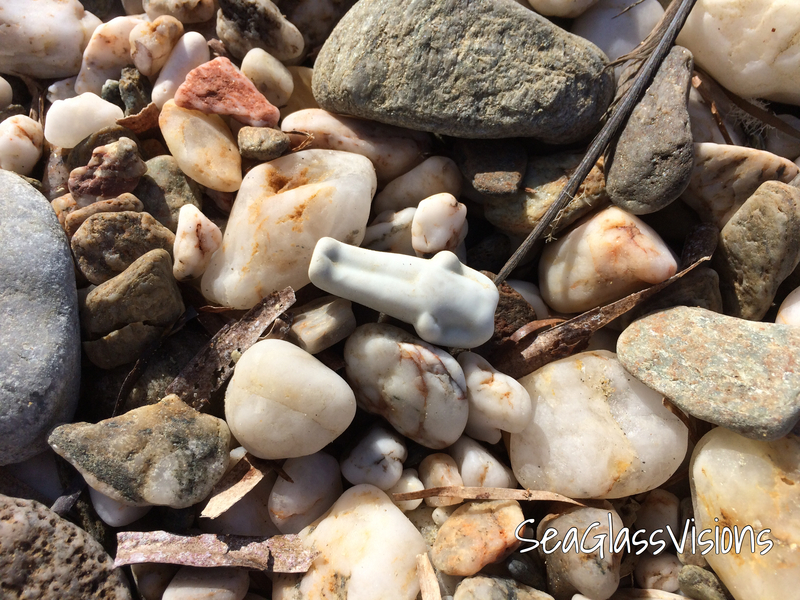 On a beach on Kea I found some wonderful sea glass and sea pottery and this, my very favorite find, a ceramic whistle in the shape of a figurine. Amazing! Some projects take longer than others and are joys to create, and this was definitely one of them. This frame started out life as a plain wood frame. It was lovingly sanded, painted, distressed and then decorated with Hawaiian sea glass sand, California sea glass and pottery, shells of all types, starfish, sand dollars and a fish net. This project took several months to complete. Then I held this frame for months after I completed it. 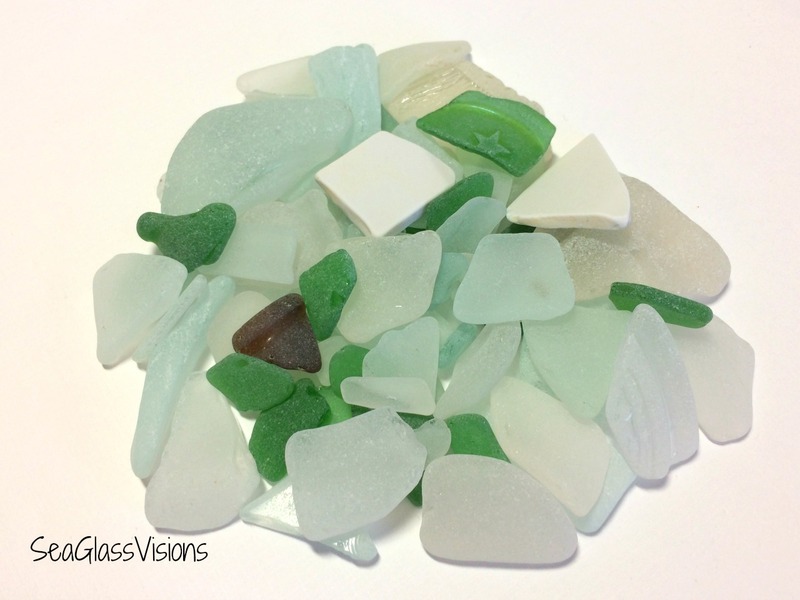 First off, I loved it myself, but outside of my “sea glass room” my home doesn’t have a nautical/beachy theme. Even my hubby’s suggestion “you can put our wedding picture in it” didn’t feel quite right. So, I decided that it would be best with someone who would really appreciate it. Then I couldn’t decide if I should sell it in my Etsy shop or as a consignment. While it’s true Etsy would bring me a much larger audience, I do think that some handmade items are better appreciated when seen and touched, and when the natural “quirks” of the handmade piece can be felt accepted as every creation is unique. So, with that thought in mind I recently took this frame I named “Mermaid’s Catch” to a local consignment shop in Pasadena, Maryland called EL & Co. My visits to EL & Co. always include catch up time with the owner, Tracy, and it’s always fun to see the new items she has in the shop. It was while we were catching up that a customer walked into the shop. Tracy pointed out the frame to her. The customer had been married on the beach in Florida. The bridal bouquet she held was made of sea shells, she was a beach theme fanatic. She fell in love with the frame and bought it on the spot. 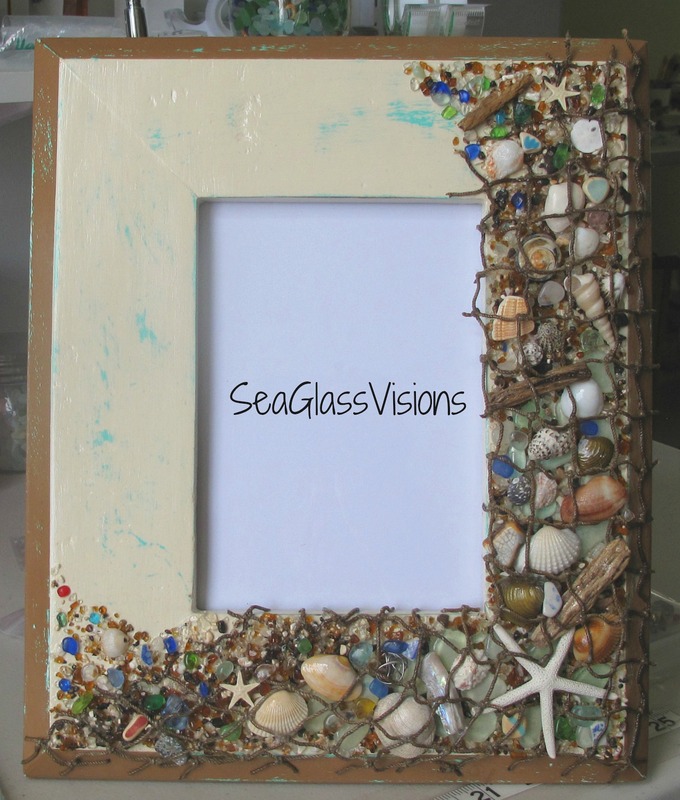 She even sent me pics, now posted on my SeaGlassVisions Facebook page, that show the frame in her wedding display. It’s always an honor when a customer choses a piece of art I have created and incorporates it into such a place of honor in her home. I was so lucky just a year or two ago to find out about, and be accepted as a vendor with Bay Country Crafters. Bay Country Crafters is a group that organizes two major craft fairs a year in Millersville, Maryland featuring dozens and dozens of talented artisans. They have been doing this for 32 years this Fall. This craft fair runs for at least ten days, this one from November 1st – November 12th. This means there are a LOT of shoppers and it takes a LOT of jewelry to keep my displays filled! The setting is the Historic Baldwin Hall, a well known local site, and one worth a visit even without a craft fair. The fair is set up like a large boutique, incorporating everyones work into beautiful displays that have a surprise around every corner. Along with the jewelry you’ll find items for your pets, babies, holiday decorations of all kinds, wreaths, trees, ornaments, organic soaps and lotions, herb blends for cooking, homemade cookies and chocolates, hats, scarves, pictures, furniture and much more! A lot of these items are one-of-a-kind. Getting ready for this craft fair has kept me very busy. 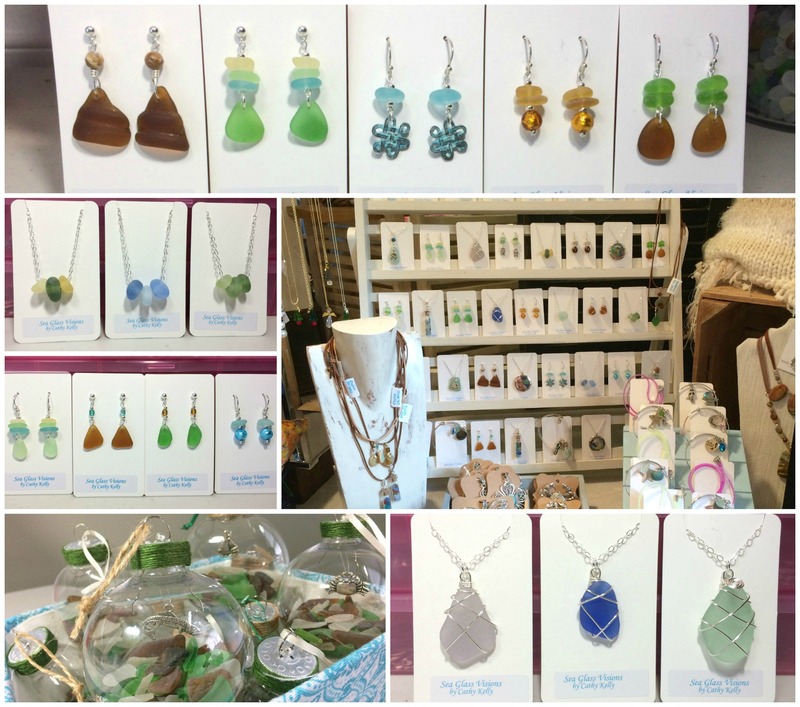 I’ve created new pendants, earrings and bracelets as well as Christmas ornaments and sea glass display jars filled with Maryland sea glass. 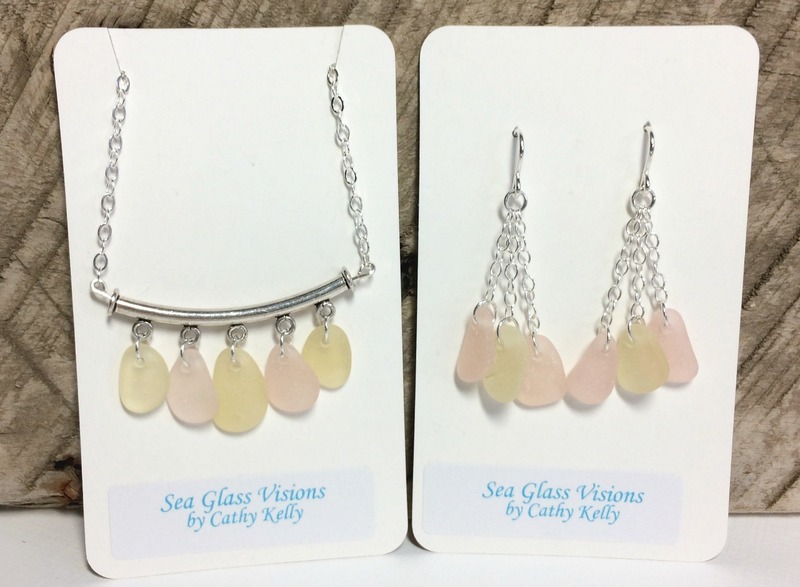 For my jewelry designs I used sea glass from Maryland, England and California. 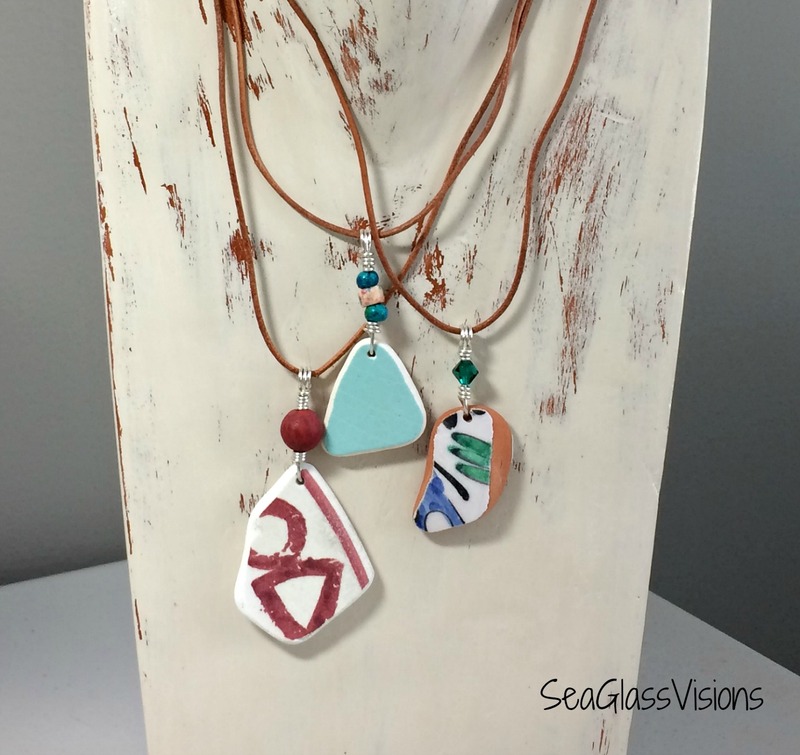 I enjoy working with both sea glass and sea pottery! Sea pottery from Greece tends to be very colorful and happy with fun patterns. I created these lovely pieces using sea pottery found in Rhodes, Greece. In order to keep their organic feel I have hung them from leather cording. They are available in Maryland at EL & Company in Pasadena, Maryland.